We find it hard to overestimate the impact Martin Luther made on our modern world. If the Enlightenment opened the literary resources of the distant past to inform the present, including Erasmus’s publication of the New Testament in the original Greek, Martin Luther made at least as important a contribution toward our world today. Without him we would still lack our modern values of equality, liberty, and individual responsibility. 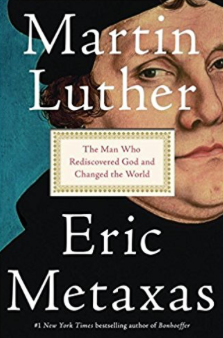 Eric Metaxas’s Martin Luther: The Man Who Rediscovered God and Changed the World, (New York: Viking, 2017) celebrates Luther’s life and legacy after 500 years. Before Luther, the Roman Catholic Church contained the repository of all truth—scientific as well as religious. Luther’s challenge, hardly the major assault on institutional authority perceived by the Church, simply asked the Pope to show Scriptural support for the prevalent doctrine of indulgences. 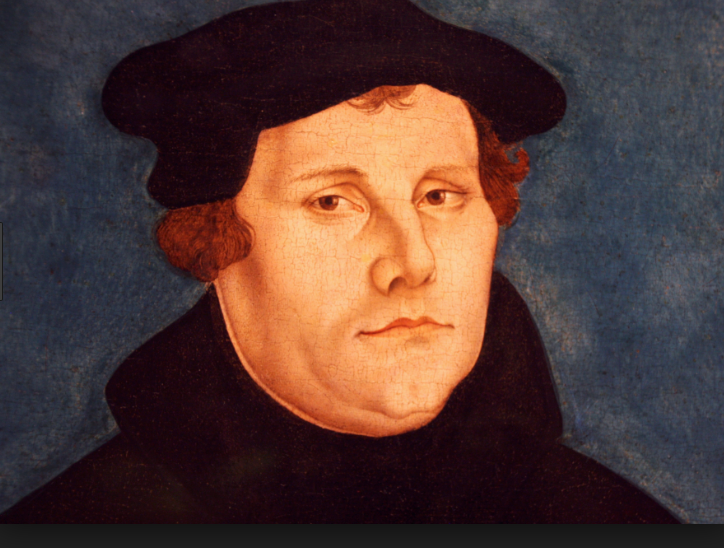 Indulgences, the sale of certificates of forgiveness for oneself, one’s relatives and for even before the sin was committed, so offended Luther that he felt compelled, in 1517, to post his “95 Theses” on the Wittenburg church door. That act showed no disrespect, but, as was common in that day, simply called for a theological discussion. But the Roman Church had to suppress any challenge to the Pope’s authority, especially from a German Augustinian monk. Indulgences also represented an important source of church revenue. Eric Metaxas, bestselling author of Bonhoeffer, Amazing Grace (on William Wilberforce), If You Can Keep It (on American Liberty), and other works, details how a simple, godly monk confronted the highest human authority. That triggered an explosion felt around the world, not only of his time but which also extends down to ours, 500 years later. Metaxas’s book sets the record straight regarding many of the myths surrounding Luther: Was he not born into a peasant family? Was he not so warped by his severe upbringing that he saw God as an overbearing Father, who needed placating by extreme submissiveness? Did he not, on a trip to Rome, observe the evil of such a decadent church that he felt compelled to reshape it into his rigid German image? These and other such popular myths Metaxas lays to rest (p. 3). The year prior to his death (1545) Luther describes his insight into the Scripture, which so long ago (early 1517) liberated him from his inability to do enough to satisfy a righteous God. 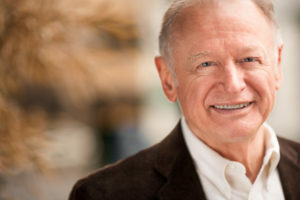 “…the righteousness of God is revealed by the gospel, namely, the passive righteousness with which the merciful God justifies us by faith, as it is written, ‘He who through faith is righteous shall live.’ Here I felt that I was altogether born again and had entered paradise itself through open gates. Thus a totally other face of the entire Scripture showed itself to me” (p. 96). Scripture study and theological reflection informed Luther’s lectures and sermons during his years of theological teaching at Wittenburg University: the Psalms, the books of Romans, and Galatians. After the Reformation began, Luther opposed Thomas Munzer and his radical Anabaptists who practiced another baptism after adult conversion. But why Luther promoted suppression of The Peasant’s Revolt of 1525 mystifies some. Although he had led a movement for freedom from ecclesiastical authority, the consequences of such freedom burst all bounds of reason, but especially of Christian submission to God. The peasants, many still untouched by the message of Christ’s love, became bloodthirsty in their quest for liberation from feudal dependency. After they steamrolled his call for moderation and Christian restraint, Luther called on the German princes, as authorities ordained by God (Romans 13:1) to suppress the rebellion and to restore order. The Gutenberg printing press, of course, disseminated Luther’s ideas far and wide. That such an important technological innovation should lead to spreading the message of grace and freedom, well used by Luther and by his supporters, we in our day of rapid technological advances can readily understand. Publication of his tracts and papers at times not only outdistanced the Church’s ability to suppress his heresy, but also his own ability to control what resulted. Luther marred his later years by publishing On the Jews and Their Lies, which Metaxas calls “vile and intemperate.” His reversal from an earlier, empathic understanding of Jewish resistance to Christianity mystifies us. It wasn’t Luther’s obscure tract as such which scandalizes us, however, but rather its’ use in Nazi Germany four centuries later. “That the Nazi’s cynical master of propaganda,” says Metaxas, “would find the few vile words Luther had written against Jews and broadcast them to the world, ignoring the 110 volumes of Luther’s other writings, is of course, fathomlessly cynical“ (p. 417). That’s what propagandists do. Much of Luther’s life cannot be covered in this short review: his marriage to nun Kathie (Katherine von Bora), his grief at the death of eight-month old Elizabeth, his Anfechtung (anxiety), or his relationship with Johannes von Staupitz, his academic and spiritual mentor. I hope I’ve written enough, however, to stir you to also read Metaxas’s Martin Luther: The Man Who Rediscovered God and Changed the World. Two great obstacles hinder our fellowship with God. In our suffering, we erect a barrier: How could God allow such unfair treatment as I’ve experienced? I responded to this issue through looking at Job in Tragedy Transformed: How Job’s Recovery Can Provide Hope For Yours (2015). But Martin Luther addresses the second great obstacle to fellowship with God: our sin. Here Luther brings to bear the message of grace from St. Paul: The just shall live by faith. This entry was posted in Religon. Bookmark the permalink.